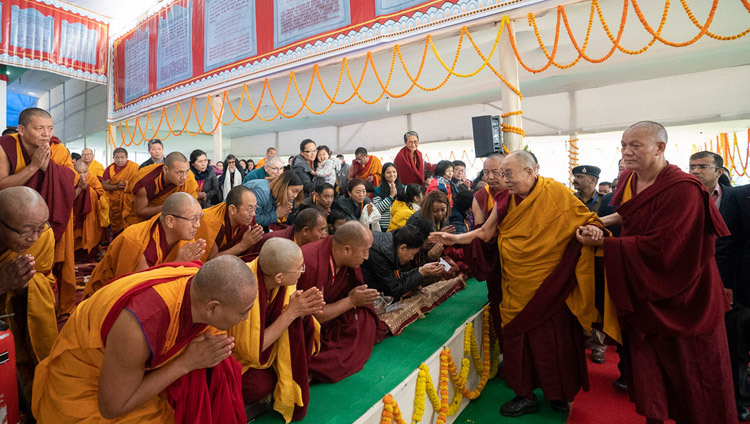 (TibetanReview.net, Jan03’19) – Following reports that less than 100 Tibetans from Tibet had managed to visit Bodh Gaya in India’s Bihar state for pilgrimage and to attend the Dalai Lama’s teachings in Dec 2018, Chinese authorities in Qinghai Province have ordered that all of them return forthwith within three days. Those from the Tibetan areas of Sichuan province are also under similar dicta, reported the Tibetan language http://tibettimes.net/ Jan 1. Those yet to depart for pilgrimage to Buddhist sites in Nepal and India have been stopped forthwith from leaving. The report cited one such Tibetan in Qinghai as saying he and others had their plane tickets forcibly cancelled. However, they have received refunds of only 1000 yuan each against the amount of 6000 yuan they had paid. Those from Qinghai already in Nepal and India are under urgent orders conveyed repeatedly through their relatives and families back home to return within three days or have their passports cancelled and to have themselves banned from returning. The report also said several Tibetan pilgrims from the Tibetan region of Sichuan Province had received similar urgent orders from the Chinese authorities conveyed through their families. Hardly any Tibetan in Tibet Autonomous Region, the western half of ethnographic Tibet, have been able to travel to Nepal or India for pilgrimage over the last several years because China withdrew their passports and did not issue or reissue any after they attended the Dalai Lama’s Kalachakra teachings in India in great numbers.